They were great and very easy to work with. Great location! Close to downtown and we loved having a designated parking area. The house was clean and well equipped. Maybe could have had a few more hangers. The neighborhood was quiet. We needed a HQ the week before our daughter's wedding. The property had ample room to spread out to do all the activities we wanted to do for wedding preparations. The location was very convenient to both 250 and I64. It made getting around Charlottesville very easy. We loved being so close to the Downtown Mall. We walked to dinner several times. Everyone was very kind and helpful given that our door did not close properly upon arriving. It helped make what could have been an issue a non-issue! We will be back thanks to our experience with your team. The location is superb, as are the accommodations. Highly recommended to friends and family. The home was perfect for a family get together while visiting our son at UVA. The location is ideal and there is plenty of room to spread out. The shower is a bit of a challenge but we got used to it, LOL. I would suggest having more cooking and food prep supplies. And it may seem like a small matter but if people arrive after dark it is very difficult to gain entrance to the front door. We had an over 8 Hour drive from New Jersey and had difficulty getting into the home. The home was truly wonderful and met most all of our expectations. We have stayed in Home Aways around the world and we were very happy with this accommodation and the service your company provided. The team was efficient and helpful. The home was beautiful and met our every need. We loved the decorating and the layout was perfect for us. The interaction online was seamless. Everything was as stated at the property. The pictures were very accurate (which is often not the case with other rental companies in my experience). Website is very user friendly. I have recommended Stay Charlottesville to other friends and family. Cabell cottage provided the perfect retreat for a weekend away for my husband and I. The property is beautifully decorated, extremely clean and cozy. 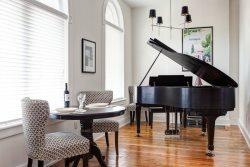 My husband and I have very high standards for our accommodations while traveling, and Cabell cottage and the Stay Charlottesville team did not disappoint! The location is perfect for someone looking for a retreat close to Charlottesville and also close to areas such as Afton and Crozet. We enjoyed the wineries and breweries in the surrounding areas. We both loved our stay at Stoney point Retreat and are looking forward to coming back soon. House keeping staff was very pleasant! Overall the cottage was clean, comfortable and I especially enjoyed the availability of a washer/dryer. LOVED the home and our stay. We enjoyed the beautiful scenery and well kept grounds. Expansive views from the many windows were gorgeous. We enjoyed walking to the top of the mountain at sunset...SPECTACULAR! We would definitely return. The house exceeded all expectations! It's actually quite nice to have the option for extra privacy of the downstairs apartment. We were in Charlottesville for our daughter's wedding and the house was perfect! The bride and maids got dressed here and the photographer was thrilled with all of the opportunities for great shots! Outstanding customer service. Professional, fast, and made it clear that the objective was for us to have a fun and hassle-free visit. So much nicer than dealing with BNB or VRBO. Thank you! Could not ask for a more convenient location. Walked to dinner and breakfast, great views from the many large windows. Convenient parking steps away from the apartment entrance made the trip even more enjoyable, in a town where it is very tough to find a space! We couldn't be more impressed or satisfied with Hilary and the other members of your team. All questions were answered to our satisfaction, help was offered, and all in the most pleasant way. We also have rental properties, and we feel customer service is key to a successful partnership with owners and customers! Keep up the great work! We loved the cottage and found it to be everything we could ask for. It is absolutely beautiful, and the location is perfect. We enjoyed the tranquility and views as well as daily visits from the owners' adorable dogs. The cottage is unique, beautifully decorated, and a wonderful vacation destination. It was love at first sight! My wife and our guests raved about the location and view of the Blue Ridge Mountains and Piedmont Valley. Way beyond expectations. The upper mountain top was special and we were able to observe a sunset that was breathtaking. We are planning a return trip next fall.